It is tough not to read another technology article without Artificial Intelligence (AI) being mentioned. To that extent, it is not surprising to see companies using that word more and more loosely. On one spectrum, you have Oracle CEO Mark Hurd, who said that “it’s just nonsense” to believe that many tech companies are serious about their efforts to develop AI technology. And you also have companies like Google, which made the commitment to prioritise AI a couple of years ago. What is AI and how did it originate? According to Investopia, Artificial intelligence (AI) is a term for simulated intelligence in machines. These machines are programmed to “think” like a human and mimic the way a person acts. The ideal characteristic of AI is its ability to rationalise and take actions that have the best chance of achieving a specific goal, although the term can be applied to any machine that exhibits traits associated with a human mind, such as learning and solving problems. AI isn’t something recently invented. The field of AI research was born at a workshop at Dartmouth College in 1956. Since then, AI has undergone many winters – periods of reduced funding and interest in artificial intelligence research. There are many different reasons for the underlying causes – from overhype, institutional factors, economic reasons, insufficient computing capability, lack of actual use case and failure to adapt. The key push for the recent comeback is the emergence of better computing power. Since 2012, the amount of computing used in the largest AI training runs has been increasing exponentially with a 3.5 month-doubling time (by comparison, Moore’s Law had an 18-month doubling period). By deploying a well-trained AI software, companies would be able to scale their efforts in a small fraction of the time. From completing 360,000 hours of finance work in just seconds to replacing your entire web chat department, the cost benefits are enormous for companies that are willing to invest in this technology. In the Singapore context, AI (and data analytics) is being deployed by banks to detect the illicit flow of money. Within HR, there are already a few successful case studies such as pymetrics and Pulsifi. One Singapore-based company in particular has made a positive impact for recruiters in the banking and financial industry: impress.ai – AI Chatbot Software for Recruiters. Their conversational bots autonomously interview, engage, and shortlist candidates at scale 24/7, and actively fight human bias by hiding biasing information from human reviewers. Singapore’s most respected bank, DBS Bank (and Global Bank of the Year by The Banker) accepted impress.ai into their Startup Xchange programme, an initiative where business units within the bank partner with startups to solve business problems using emerging technology, like AI. 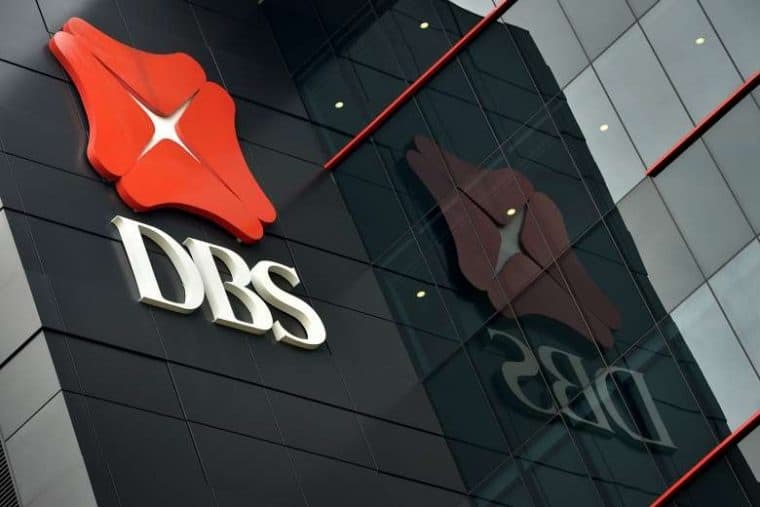 Prior to collaborating with impress.ai, recruiters at DBS Bank would spend up to 20% of their time collecting information and responding to emails before meeting with shortlisted candidates. With impress.ai, their Talent Acquisition team created an AI virtual recruiter, JIM (Jobs Intelligence Maestro). Since the launch of JIM, recruiters at DBS Bank save 40 hours per month and have reduced the amount of time to screen candidates by 75%. Before implementing the AI virtual recruiter, it took recruiters 37 minutes to review each candidate, whereas now it only takes them 8 minutes. For candidates, it would take 1 week to complete the entire application, but now it takes them less than 30 minutes (including wait time for invitations). With the reduction in time for administrative matters, more time is allocated for higher-value activities such as engaging the hiring managers and top candidates. Candidates’ drop-off rate has also decreased from 15% to 3%. This is attributed mainly to the real-time engagement available 24/7 and on-the-go for candidates. Thus far, DBS Bank has received encouraging feedback from the candidates in terms of the candidate experience. JIM has also been able to answer 96.9% of candidates’ questions and candidates have commented on how JIM provides them with a better understanding of the role. For DBS Bank, adopting innovative AI technology into their recruitment process has yielded many positive outcomes for their Talent Acquisition team. They save time and their hiring process has become fairer, smarter, and more engaging for their candidates. Would you like to gain the below benefits by automating your recruitment processes? Email [email protected] for a free demo to see how impress.ai’s software can help your team improve recruitment processes.